Investigate the properties of square, rectangle, rhombus, an isosceles trapezoid, and a non-isosceles trapezoid in this dynamic, online activity. First, the quest asks you to choose all the quadrilaterals with the given properties. After several of those types of activities follows a quiz. 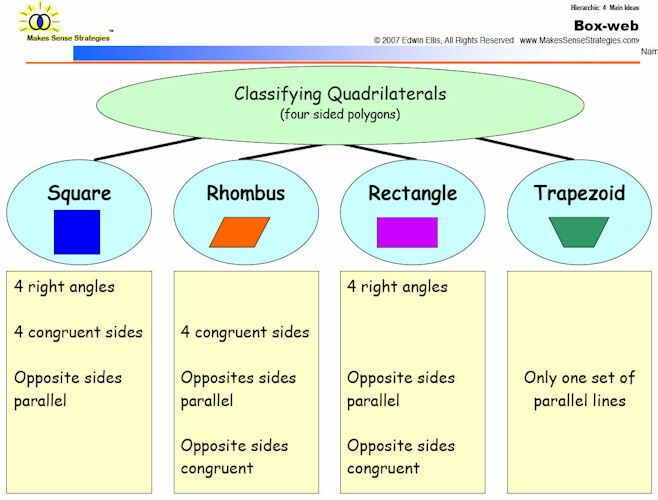 This interactive mathematics resource explores the properties of triangles, quadrilaterals and regular polygons and allows students to classify shapes based on their properties. Classifying Triangles Game - A fast-paced game where you drag triangles into the correct basket as fast as you can (acute, obtuse, right). 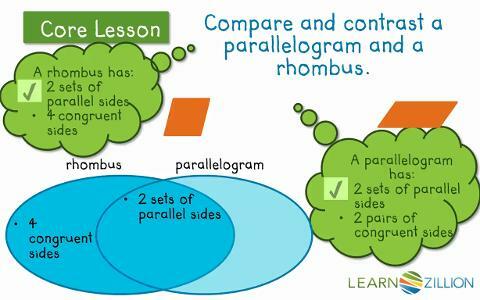 Triangles & Quadrilaterals Classification Game - Look at the shapes as they go past, and drag them into the right groups (equilateral, isosceles, or scalene triangles, and quadrilaterals with 4 congruent sides, 2 congruent sides, or no congruent sides). Rags to Riches: Classify Triangles by Sides and Angles - Answer multiple-choice questions about the angles of a triangle and classification of triangles in a quest for fame and fortune.